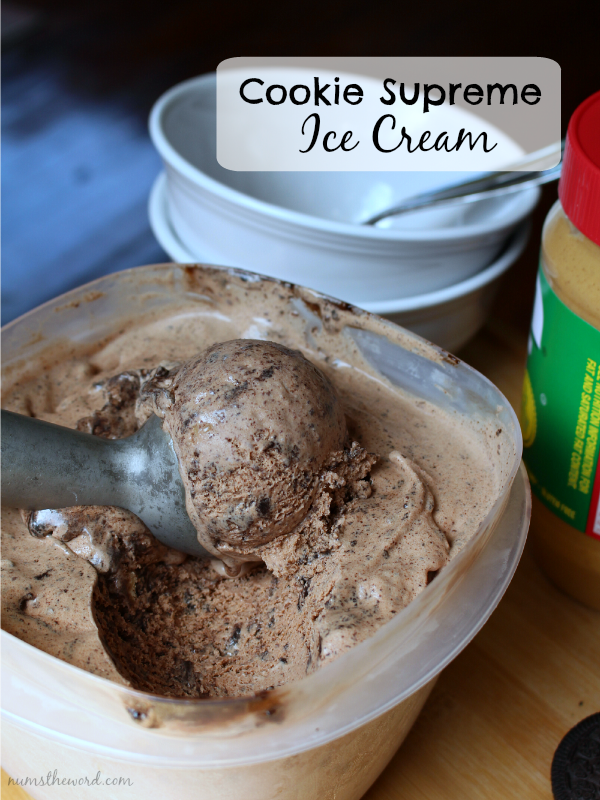 I had every intention of posting this recipe for Cookie Supreme Ice Cream in July. You know, National Ice Cream month. But things have been a little crazy. Hopefully you can find it in your heart to forgive me. Because this is some seriously delicious ice cream. You really have to try this! I basically combined some of our most favorite things into one ice cream and we all LOVED IT! 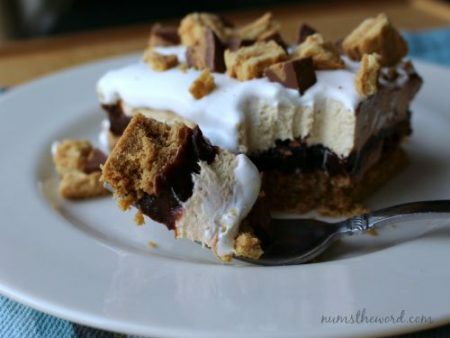 Of course it involved chocolate and peanut butter, because that it the best combination ever. So we started with a pretty basic chocolate ice cream and added some pretty stellar peanut butter cookie dough. Which may or may not be really good to just eat with a spoon as well. Just so you know. Then to add my favorite aspect of the ice cream cakes my mom would make for my birthday: the Oreo fudge layer. The combination of all of this was just simply fantastic and I think might be my new favorite of all time! Place the chocolate and sugar in a blender or food processor and process until pieces of chocolate are very small. Heat the milk on the stovetop or in the microwave until just bubbling on the sides, but not boiling. Add hot milk to the chocolate mixture and process until well blended and smooth. Transfer to a medium bowl and let the chocolate mixture cool completely. Stir in heavy cream and vanilla, then chill for at least 30 minutes. When chilled, use ice cream maker according to directions. In the last few minutes of freezing, add small chunks of peanut butter cookie dough and swirl in the Oreo fudge swirl. Place in a freezer safe container and freeze for an additional until desired consistency. Break into small chunks (we like as small as about 1 teaspoon) and add to ice cream in the last few minutes of churning. Crush the Oreos until crumb size. In small bowl, mix with the chocolate sauce starting with 1/2 cup and adding more if needed until spreadable but still thick. Fold into ice cream to create a swirl throughout. 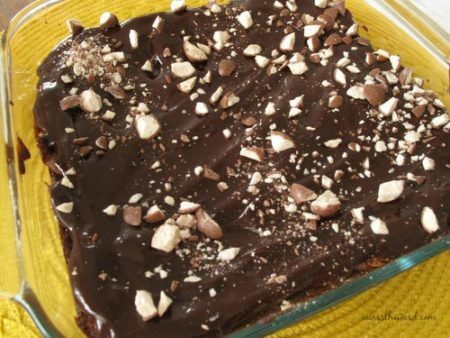 These rich chocolate brownies have Whoppers candies inside and out. They’re super rich and covered in an amazing ganache – definitely a chocolate lover’s treat! We went all out with these ice cream sandwiches. 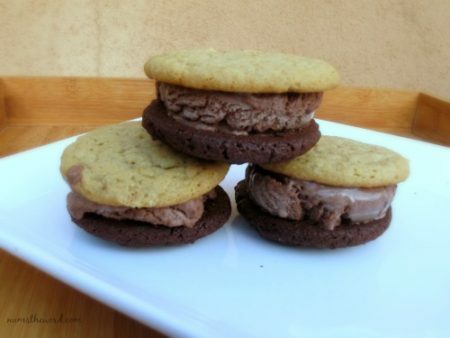 White chocolate and dark chocolate cookies sandwich chocolate ice cream and make for the perfect summer treat!